Your servers hosting the application and the database must use US English Regional Settings. An SSD hard drive with RAID with 200 GB of free disk space. 重要: The required amount of free disk space depends on your database. You need at least 50 GB of free disk space for a small database. If your database is large, you need 300 GB or more of free disk space. 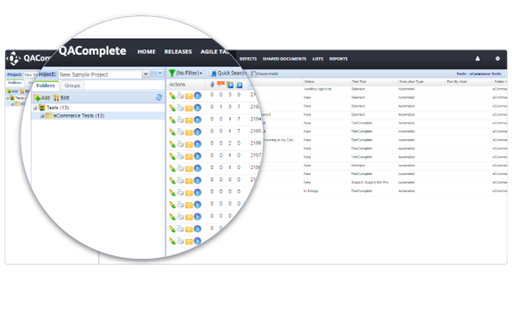 The integration is available for both the SaaS and On-Premises QAComplete versions. Integration is cloud-based. 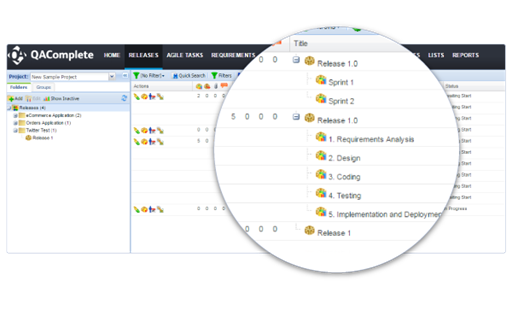 To enable the integration, you only need to install the plugin in JIRA. Unlike the previous version of the integration, you do not need to install and configure the integration service on your QAComplete server. You connect to JIRA and control the synchronization directly from QAComplete. Creating synchronization rules has become more intuitive. The synchronization is real-time. When you update an item in one system, the corresponding item is updated in another system immediately. New operations to work with Test Sets are added. Working with rich text edit fields in the Test Runner has become easier. The QAComplete - JIRA Connector standalone service is obsolete. We do not recommend that you use it to synchronize your QAComplete items with JIRA issues. 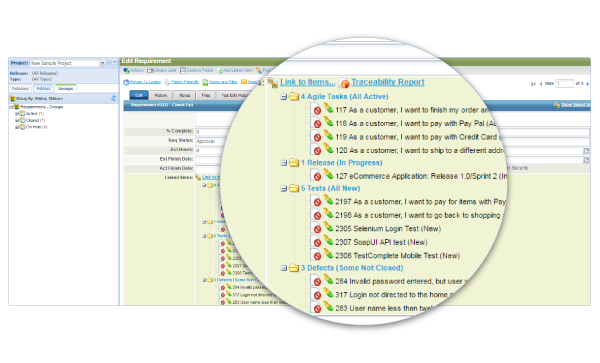 Use the QAComplete Integration for JIRA plugin instead. Now, you can log in to QAComplete using single sign-on. Currently, QAComplete supports SSO accounts created in PingOne and Okta. In the future, we are going to support more SAML 2.0 identity providers. It is easier to collect logs in the Test Agent now. You select the new Collect Test Agent execution log check box on the Misc page of the Test Agent Settings dialog and then click Generate Report to get a .zip archive with all the collected log files. The new Error Logs report helps you easily view information on errors that occurred duringQAComplete functioning and collect and send this information to SmartBear Support. Test Runner has been completely revamped. This includes a brand new UI, with a special focus on making the process of running tests simpler, intuitive, and with fewer clicks. 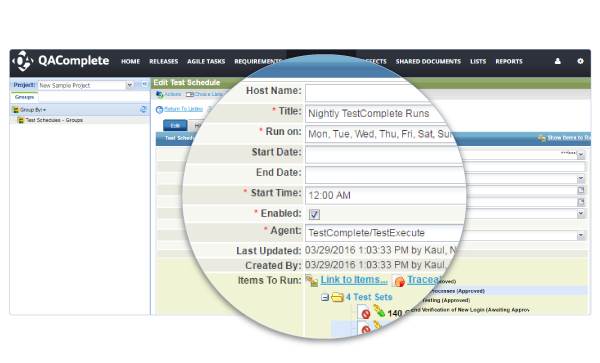 With the new Test Runner, you now have more capabilities at the test set level. For instance, previously you had to go to the test step level to tag “run by” and “run by host” fields, whereas in QAComplete 11.1, all this can be done at the test set level. More insights can be found at the step level as well. Now for instance you can have attachments at the step level for both expected and actual results. This works great when you have to report issues back to development and they want to compare expected vs actual scenarios. With TestComplete 12.0, you get a new robust integration to QAComplete. 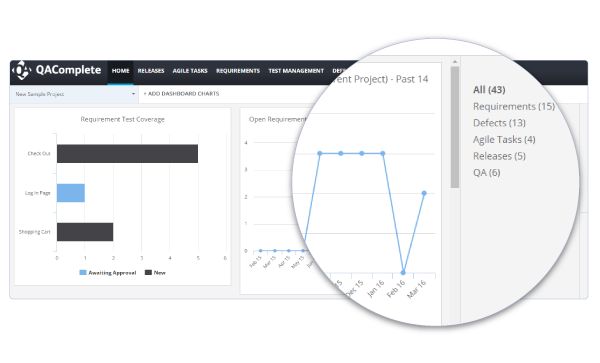 You can send projects suites, projects, or tests to QAComplete right from within TestComplete. Just right click and “Export to QAComplete” option withinTestComplete will do the rest. 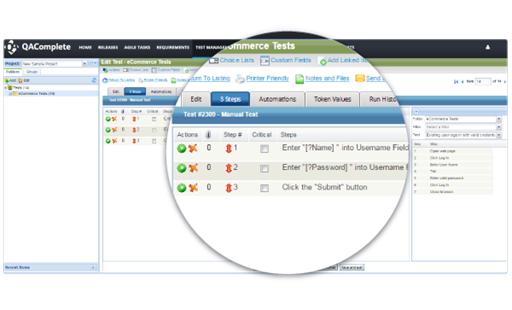 There is no need for any context switching as the entire activity is performed right from within TestComplete. QAComplete now uses a single installer to both install and updateQAComplete. You no longer need to install the updater utility to update your QAComplete version. The installer will automatically update your QAComplete installation and connect to your database. You no longer need to uninstall QACompletefirst. Note: the streamlined update procedure is available for QACompleteversion 11. 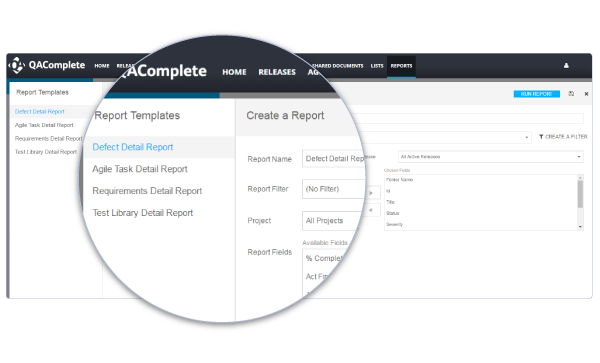 QAComplete 11.0 comes with an entirely new reporting engine. 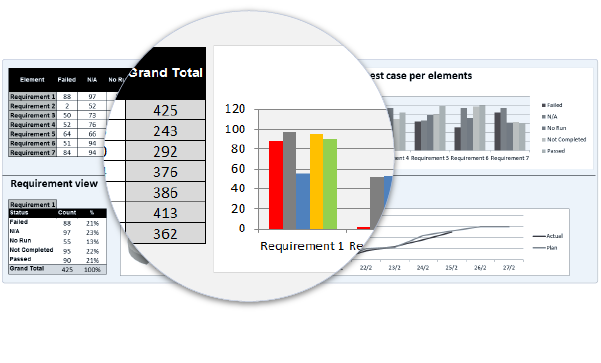 These reports can be fully customized by selecting specific fields as well as the filtering criteria. 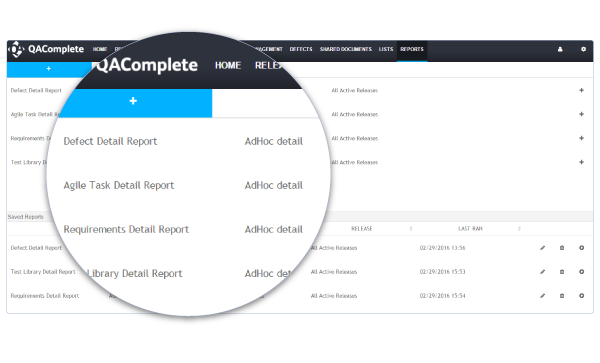 Once run, the reports can be exported to multiple formats, including pdf, xls, rtf among others. An entirely new customizable dashboard system is available with QAComplete 11.0. This includes out of the box new dashboard charts and an ability to zoom in and zoom out on populated data. 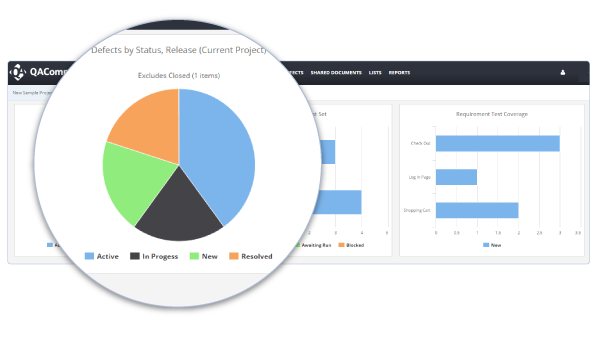 Such dashboards are saved at the user level, thereby allowing users an ability to track data based on the parts of the project they are working upon. Security administrators can enforce stronger password rules such as password history and password complexity. Support for Windows 10 and Edge, Microsoft’s new web browser. 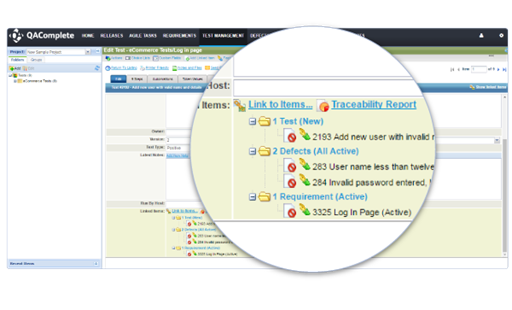 Create access, edit, and update defects and requirements in Jira without having to leave QAComplete. Any changes made during the process are synchronized automatically between the two tools. New more powerful Swagger formatted RESTful API. Start building integrations with your favorite tools here.